At your age, it’s not often you find yourself without at least a vague notion of what to expect. You can probably count the number of times you’ve been confronted with anything completely unexpected on one hand. Get ready for another one. Skydiving isn’t a run of the mill activity. Understandably, you don’t have much to go off of. From tv and movies, you can gather that skydiving will be thrilling, but if you think that’s the extent of it—you’ve got another thing coming. 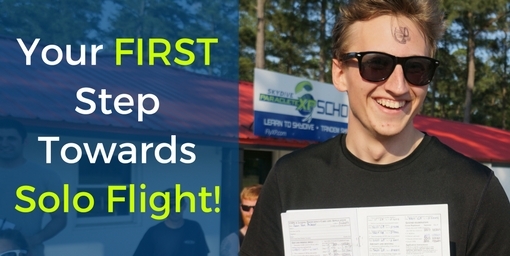 To set yourself up to have the best experience possible, here’s some intel on what you don’t expect your first-time skydiving. This is a bold statement to make, but we stand behind it. It is true. Skydiving, in and of itself, isn’t scary. Rather, most of the ‘fear’ of skydiving is in all your head. For the stirrings of uncertainty you may be feeling, anticipation is the true culprit. Remember when you were small and the dark caused you to tremble? It was never really the lack of light that scared you was it? Instead, it was the unknown lurking just behind what your naked eye could see. 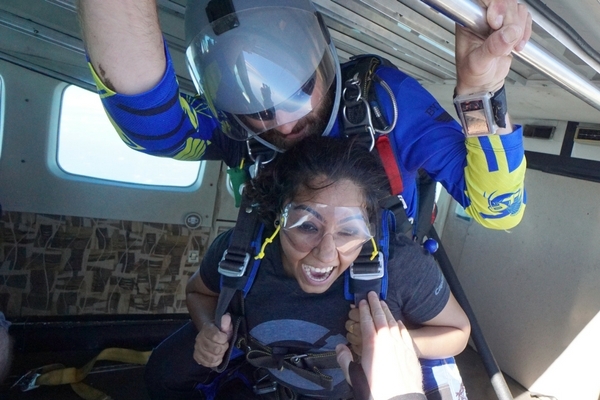 Often, with skydiving, people anticipate that they will feel afraid of how high they are. True, when you’re making a skydive with Skydive Paraclete XP, you’ll be 14,000 feet in the air, but you’ve got nothing relative to you to judge the height from. The world in miniature below you—looks almost as if it’s been painted. Your brain simply can’t conceptualize the world below as the world you are a part of. Even if you manage to work yourself up, the good news is you won’t have long to feel that way. Once you are out of the door, there’s no fear, just free fall. Get ready for a completely unexpected sensation: suspended atop all those air molecules beneath you, you feel like you’re floating. Turns out free falling doesn’t feel like falling at all. 2) You feel a bewildering sense of peace. Our heads are noisy places, and our days are riddled with distractions. There are deadlines to make, bills to pay, and a litany of minor inconveniences to be disgruntled by. Those inconsequential concerns don’t exist in free fall. Everything comes sharply into focus. It’s a great way to become reacquainted with what really matters. Some head to mountain tops and yoga retreats to find inner peace. So, it’s hard to believe that free falling at terminal velocity and tossing nylon to the skies to stop you could be considered peaceful—but it is. Up above the hustle and bustle of daily life, the noise of the world below can’t reach you. On a skydive, you can step away from it all. It’s a place where you can let go and dismiss all of the negative elements in your life that don’t serve you. 3) You’re on top of the world. The freedom of skydiving has an uncanny effect. Literally and figuratively, you will be on top of the world. Skydiving reminds us that we have the power to handle anything. Innately within us, perhaps tucked away, is the ability to succeed. No matter the challenge you face, you can conquer it. After you take the leap, you land feeling elated: you faced your fears and have come out the other end better for it. Imagine what else you can do. Now that you can expect the unexpected, what’s holding you back? Schedule your tandem skydive with Skydive Paraclete XP today!